Stunning scenery, magnificent wildlife, a spectacular journey of discovery: Follow the Berg Adventures team exploring the Galapagos Islands on a trip of a lifetime. 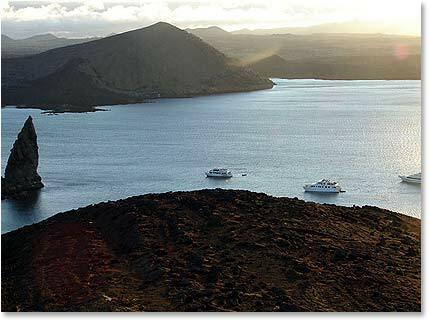 The isolated Galapagos ecosystem has inspired visitors since Charles Darwin’s 1835 visit aboard the H.M.S. Beagle. We’ll have the luxury catamaran Athala for our floating home and base of operations as we investigate and enjoy one of the Earth’s most remarkable places. November 18, 2007  Arrival in the Islands!